Why Should You Have an Office Makeover? Does your office look old and dated? A boring office space can lower the morale and momentum of your employees. Company outings are fun and great but they cost a lot of time and money. So in order to keep your employees engages on a regular basis, revamping your office space can bring the most out of your employees. Here are a few ways to have an office makeover. Transform a dull wall of a break room or meeting room into a beautiful painting to give your employees to gaze into from the typical office setting. 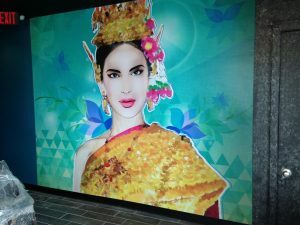 It is very effective with a printed wall mural. Famous quotes can inspire your employees and convey your brand to your customers. A beautifully created wall lettering can keep your employees motivated, engaged, and productive. The more memorable the artwork is, the more effective it will be. 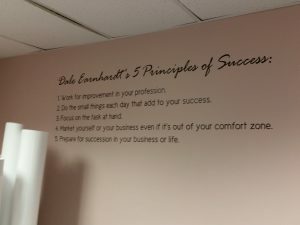 If you are looking to revamp your office space with new wall murals and wall lettering, contact Dawn’s Sign Tech today. We are experienced and professional sign experts in helping to meet your sign needs. We can design, install, repair any wall mural or wall lettering in your office space. Contact Dawn’s Sign Tech today for a free quote. We are proud to serve Methuen, Lawrence, Lowell, Haverhill, and other communities in North Shore and Merrimack Valley.